Kheer is hot milk preparation with rice. Basically it is made with rice but also it can be made with vermicelli. In this kheer which I made with Rice, is very delicious and I love to prepare it 😀 . So I am curios to share this recipe with you all as my Mom make it very delicious and you all will also love it. So let’s make it. 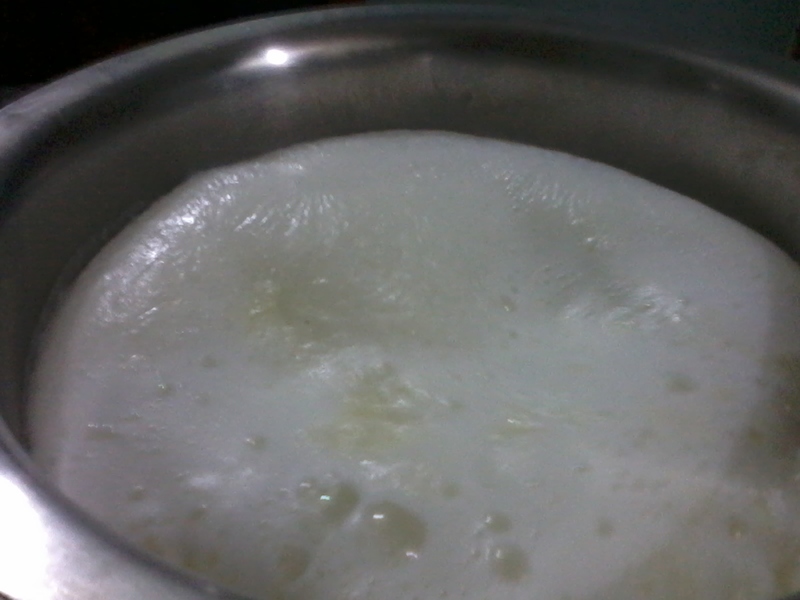 Then in a deep utensil take milk and keep on high flame and boil it and then add rice in it and lower the flame. Cook it till milk reduces to 1/3 or say 750 grams and then add sugar, green cardamom powder and mix well. Now add almonds, cashew nuts, in the mixture and keep some for garnishing also.